The Richmond Piano Trio will perform in Perkinson Recital Hall at the University of Richmond this Monday evening, February 11th at 7:30 p.m. Richmond Symphony concertmaster Daisuke Yamamoto and principal cellist Neal Cary join U of R faculty pianist Joanne Kong in a program of works including Beethoven’s Trio in C Minor, Op. 1, No. 3; Rachmaninoff’s Trio élégiaque No. 1 in G Minor; and Schubert’s Trio in B-flat Major, Op. 99. 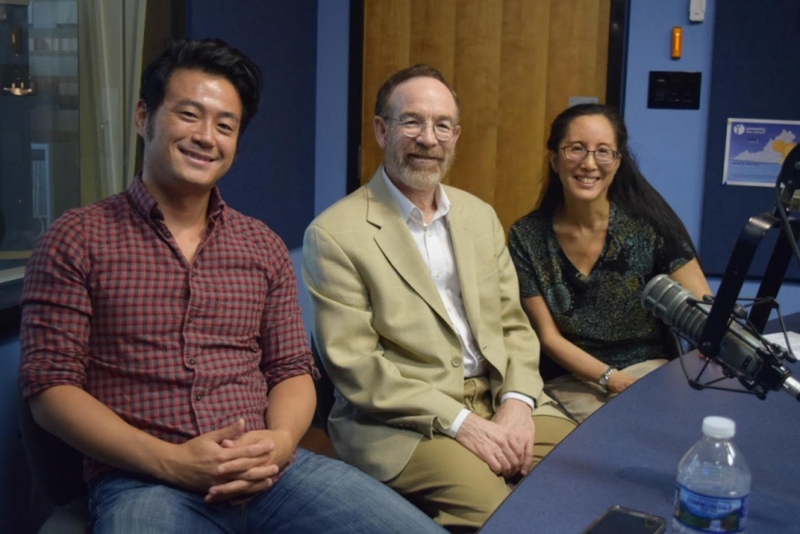 Joanne and Neal stopped by our WCVE Music studios to discuss the works on this exciting program, including an interesting link between the opening melody in the Rachmaninoff and Tchaikovsky’s first piano concerto. I hope you enjoy our chat!